Please contact us with the contact form to report difficulties, strange behaviors or persistent problems, and quote the program name or the number 21055 . 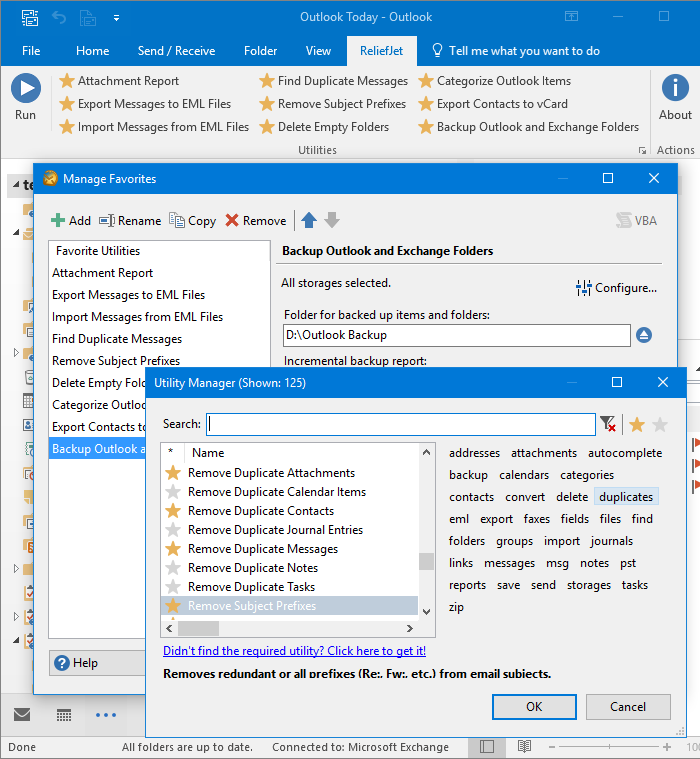 This is the download page for ReliefJet Essentials for Outlook - ReliefJet Essentials is a straightforward tool that consists of a large set of useful and easy-to-use tools for every Microsoft Outlook user. The product contains Outlook add-in, standalone and Windows command line applications. Utilities can be run in manual and automatic modes as well as on a scheduled basis.